A dog’s companionship, loyalty and love naturally melts away a stressful day. They capture our hearts with their cute head tilts, tricks and quirky “pupsonalities”. Every day turns into a doggie photo-shoot and an opportunity to capture their funniest traits. The best way to put all these pictures to good use is with a dog photo album. Warning: creating your very own dog photo book may result in an increase of joy in your heart. Plus, you may even become a bit more obsessed with your furry best friend. Here are five dog photo album ideas that will make you smile. Highlight the bond you have with your four-legged bestie in a touching photo book. Document all the fun moments you have shared – from your hikes to the daily snuggles. Making a personalized dog album is easy and fun. While you are at it go ahead and get a desktop plaque to show-off your best friend at the office! Throwing a birthday party for your dog is fun and will create an abundance of adorable pictures for a brag book. Shots of your dog in a party hat smiling big as she gets a whiff of those puppy cupcakes are sure to be insanely cute. If you need help keeping those treats warm, incorporate this doggie themed tea towel. Because one can never have too many pics of their sweet friend, take it to another level by creating a photo cube for your room. The day you brought home your new best friend is precious and memorable. You watched with adoration as they explored every corner and played with their new toys. Those moments tell the story of how your bond started and make for the most endearing additions to your pet photo album. As years go by, you can always look to this book to bring back the warm fuzzies of when you two met. Do you have picture after picture of your dog making funny faces? You’ve probably even thought of funny Instagram quotes to go along with them. Comedian Franklin P. Jones’ quote is ideal for this predicament – “Scratch a dog and you’ll find a permanent job”. Find funny dog quotes and one-liners by famous authors, pop culture, celebrities and personalities that go with a set of pictures of your dog. This will make for a photo album that will bring out a laugh every time you flip through it. Don’t forget to use your favorite pictures from the book to create a personalized easel calendar, fun for any room in your home. A child’s bond with their dog is precious. They are each other’s best friends, thick as thieves through their daily adventures. Capture their bond while your child reads a book to his very attentive pup or while they nap together. Don’t forget about those spontaneous moments during play time. 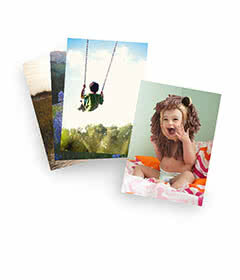 This photo album will be a treasured keepsake for your family and can be shared with your children as they get older. Creating a dog photo album in a way is a very creative outlet to show your love an appreciation for the furriest family member. Their angelic demeanor and photogenic poses will inspire you to continue this new hobby of yours. Spoil yourself and your dog with personalized pet accessories to make your pictures even more special.